Has Samsung solved the biggest problem with electric vehicles? Samsung probably isn’t the first company that comes to mind when you think of excellent battery performance. But while it may take a while for the Korean firm to escape the Note 7’s ghost, its lithium ion and renewable subsidiary – Samsung SDI – is making some huge strides in the world of electric vehicle batteries. Two of the big drawbacks with EVs are the limited range provided by their batteries and the time they take to charge, but Samsung SDI’s new battery cells could solve the problem. The company claims that the improved density in its “next generation” battery offers 373 miles of driving on a single charge. Plus, it takes just 20 minutes to charge the battery to 80 percent capacity, allowing a vehicle to travel around 310 miles. For comparison, the batteries in Tesla’s Model 3 allow for around 215 miles travel on a single charge, and juicing them to full capacity takes around an hour. 30 minutes on a Supercharger station, meanwhile, will give a Tesla about 170 miles of range. 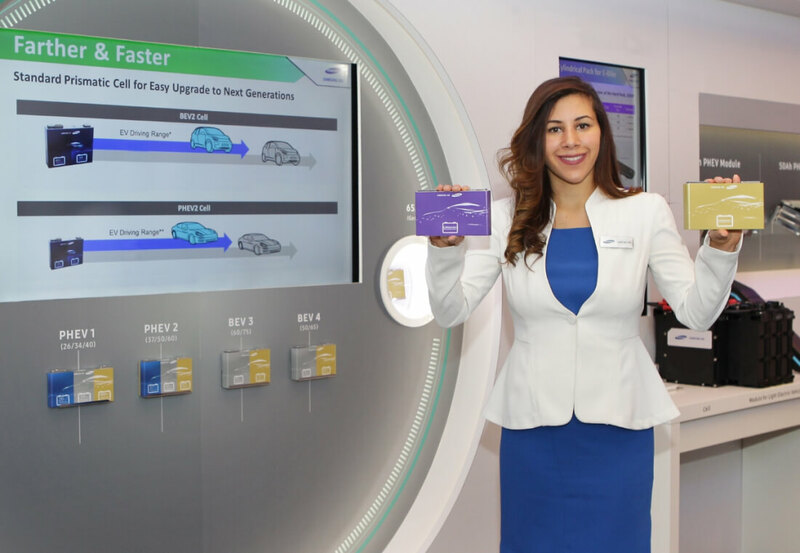 Samsung SDI unveiled the batteries at Detroit’s North American International Auto Show 2017, where it also showed off its "integrated battery module” concept. The new design is lighter, safer, and comes with fewer components compared to conventional EV batteries, while still boasting a larger capacity. It’ll be a while before we see these high-energy density battery cells. Samsung SDI says they’re not planning mass production until the year 2021, by which time there should be even more electric vehicles on the roads.